Meet the man responsible for dappering up the stars. Five years ago Aleks Musika was the head of the Made-to-Measure suit program at Tom Ford in Bal Harbour. He was, in the finicky world of men’s fashion, very successful. Today Musika still dresses high-profile clients in bespoke suits, but the name stitched on the label is his own. Success is measured in tuxes made for Jay-Z, Luis Fonsi, Nick Jonas, Trevor Noah and more. 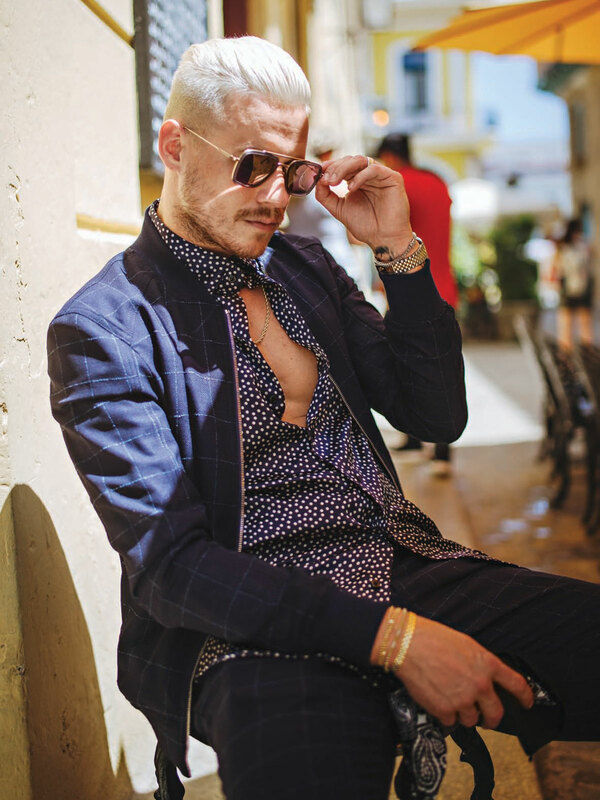 “Sometimes I’ll wear what I call a ‘loud look.’ Miami brought that out in me,” says Instagram influencer-turned-celebrity menswear designer Aleks Musika. The duo started reaching out to celebrity stylists like Derek Roche who dresses Sean “Diddy” Combs. “It was crazy seeing Diddy wear our look on the Met Gala red carpet,” says Musika. “But once a client gets our stuff, they’re hooked because the fit and style is so unique.” Case in point: Kevin Hart, who’s requested numerous custom Musika Frère creations. The label has already grown to include leather jackets and jewelry. Next up: fragrance, ready-to-wear and eventually womenswear. But, really, they’ve already conquered the most discerning of female fashionistas. Yes, Beyoncé wears Musika Frère, too.